When parents separate or divorce, one of the many challenges that face them is getting along for the sake of the children. As difficult as this time is for the parents, it is often taken for granted how terrible the experience is for children of any age, and the long-term impact that it has on their emotional development. Unfortunately, parents make poor decisions to spite each other. One of these is the parent with custody withholding visitation from the other parent. There are numerous ways in which this occurs. It is common that a parent with primary custody cancels occasional visits. Some custody orders will account for missed visits by allowing the deprived parent to have make-up visitation. The best course of action in this scenario is to simply ask the other parent to schedule make-up visits. Generally, courts will not find it worthwhile to address occasional missed visits. However, it is important to make a record of withheld visitation in case the problem gets worse. It becomes a problem when a custodial parent frequently withholds visitation from the other parent. If this happens to you, and attempts to directly communicate with the custodial parent and re-establish visitation are unsuccessful, you should speak with an attorney. Do NOT take matters into your own hands, as this will not resolve the situation. In addition, law enforcement is generally reluctant to become involved in a custody dispute unless there is some safety threat involved. An attorney will know the proper steps forward, including making a demand to the custodial parent or filing a contempt motion in court. 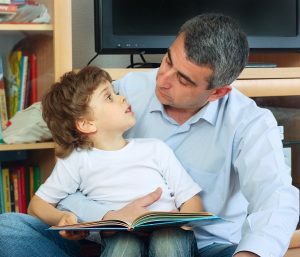 The court can order a parent to comply with visitation orders, modify visitation orders, or hold the custodial parent in contempt for continued failure to comply with orders. The most extreme scenario is interfering with visitation. This can range from blocking emails and telephone contact, to regularly scheduling the child’s activities during visitation periods, to emotionally turning a child against another parent, to concealing the child from the other parent and the court. Basically, it is a deprivation of the parent-child relationship. If this occurs, an attorney can assist you to bring the matter before a judge. Courts have a wide variety of options to resolve interference. These include temporary orders and contempt, including fines or jail time, and even criminal charges. If your visitation is being withheld, you should contact us. Parents should have relationships with their children. New Direction Family Law has more then eighteen years of experience in child custody law and will work tirelessly to make things right. Call our office today at (919) 719-3470 or online at our website.